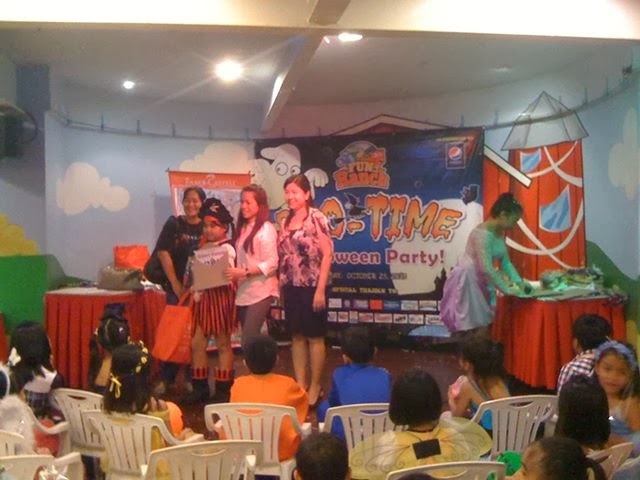 I was ecstatic when I had a chance to be one of the three invited to judge FunRanch Alabang's Boo-Time Halloween Party last October 26th. Registration started at 4PM. The loot bags containing candies, Magnolia Pancakes, Jack N’ Jill Chooey, Jack N’ Jill Cloud9, Jack N’ Jill Nips, Jack N’ Jill Dewberry, Jack N’ Jill Wiggles, Jack N’ Jill Magic, Jack N’ Jill Knots, Refresh Big Sip and Cloud 9 Chocolate Drinks were handed over to excited little ones. Seeing kids all prepped up for Halloween triggers the young once in me. Parents can be so meticulous in selecting Halloween party get-up for their toddlers and preschool children! Halloween was not celebrated during the time I was growing up. Not once did I have a chance to go to one as a child even into adulthood. 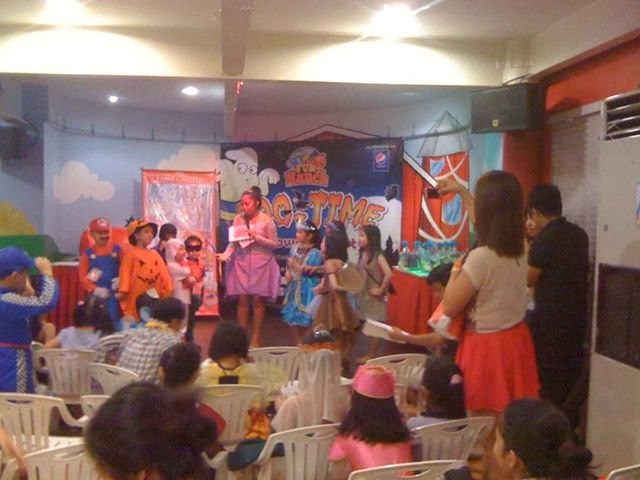 Now, children and adults take time in looking for unique, spooktacular costumes to wear to this fun time of the year. I actually had my share of fun finding a costume for my daughter's first Halloween Party and the rest is history. 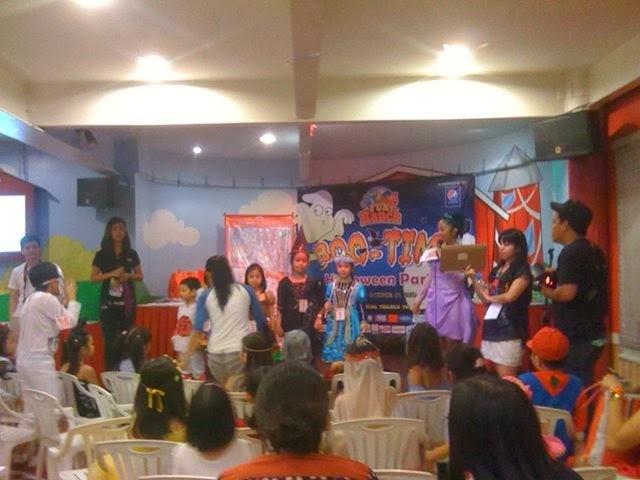 Costume contest was divided into three categories. These were The Cutest Costume , The Scariest Costume and The Best Costume of all. Children came in as fairies, beauty queens, marvel heroes, royal elves and some in really freeky, out-of-this-world garbs! 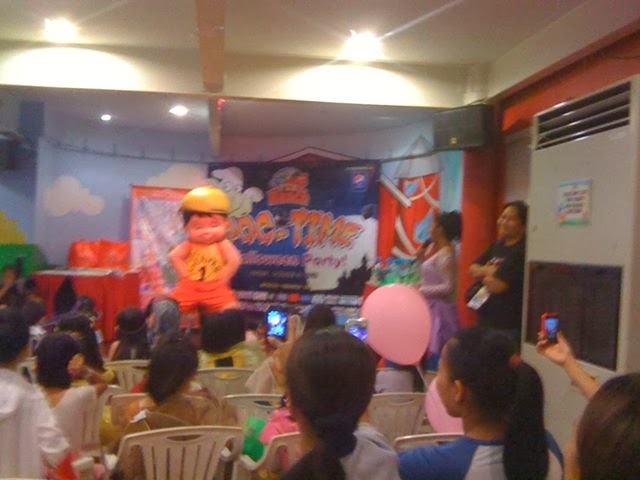 The party was highly organized with parents and children being ushered to snack area after registration. My daughter and I had fun eating cotton candy and popcorn while waiting for the costume parade to commence at the second floor party area. The games, magic trick show and the costume contest followed suit at around 5:20PM. This was the best, hassle-free Halloween Trick-or-Treat Party I've attended so far. The Boo-Time ticket was inclusive of chicken-spaghetti snacks, DQ lollipop ice cream, food cart treats, one Ride-All-You-Can Unlimited Play plus Loot bag. 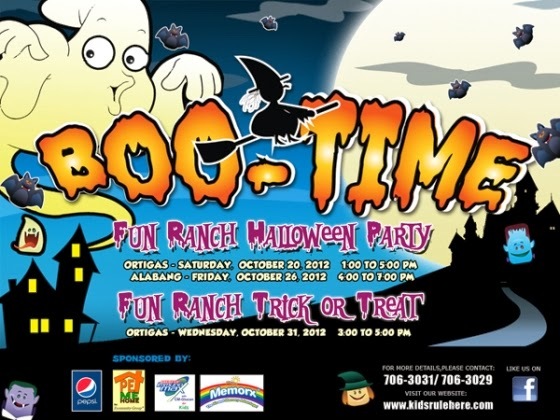 Thanks to Ms. Anna Del Rosario of FunRanch Marketing Department. Same here. 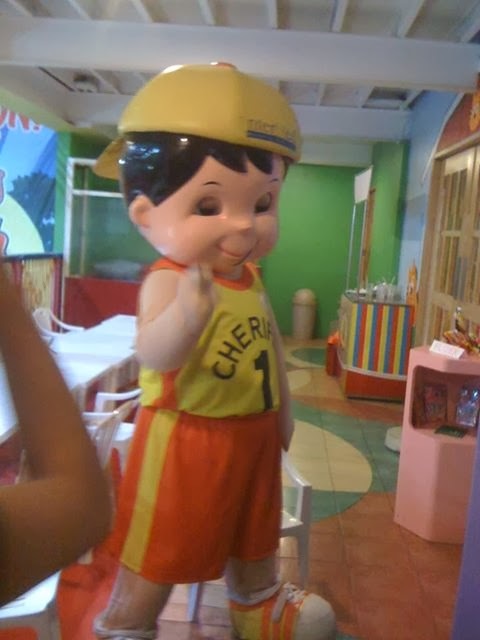 I never had the chance to experience halloween and costume parties. :) The kids look like they had fun!